Within China today, more and more consumer products and services are being rigorously assessed and accredited due to fake products, poor quality and false advertising. Most hotels, tourism attractions, restaurants (and now even public toilets!) are accredited under a government regulatory framework. Chinese consumers, particularly those seeking to purchase global products or those traveling overseas, want assurance they are dealing with trusted quality suppliers. 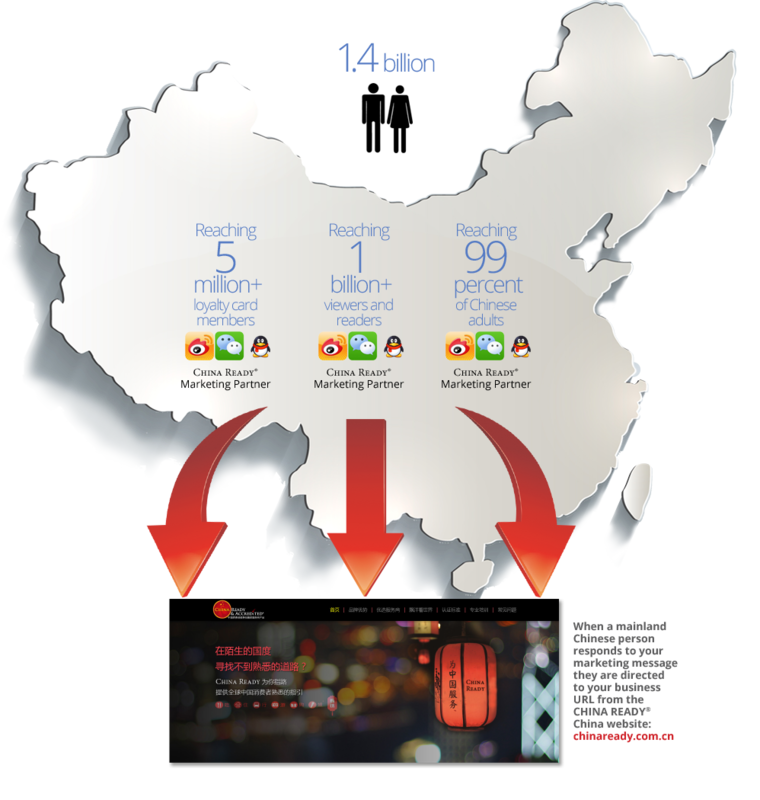 This is why CHINA READY Accreditation™ should be the starting point for any China-focused marketing strategy. ….I believe those Western businesses who become CHINA READY & ACCREDITED® will become the most sought after by Chinese consumers when selecting products and services. As a CHINA READY & ACCREDITED® business, you’ll have access to signage and trademarks that make you more appealing to Chinese people. If you’re in the retail, travel or tourism industry, the CHINA READY & ACCREDITED® Certification Trade Mark, when used in conjunction with the CHINA READY® “Six Sector” Trade Mark, shows Chinese travel operators and independent travelers that your business or organization understands, respects and agrees to act in accordance with the principles of China’s Tourism Law (which applies to both domestic in-China and international suppliers). The core business sector of an accredited business is identified by a single tick next to one of the Six Sector symbols. Even if a business offers other services (e.g. a hotel with food and beverage facilities) it can only be accredited according to its one core business. The China Association of Travel Services (CATS) welcomes and strongly supports the CHINA READY Program®. 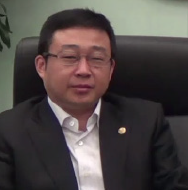 We hope the Program will bring tangible and real benefits to our Chinese visitors. 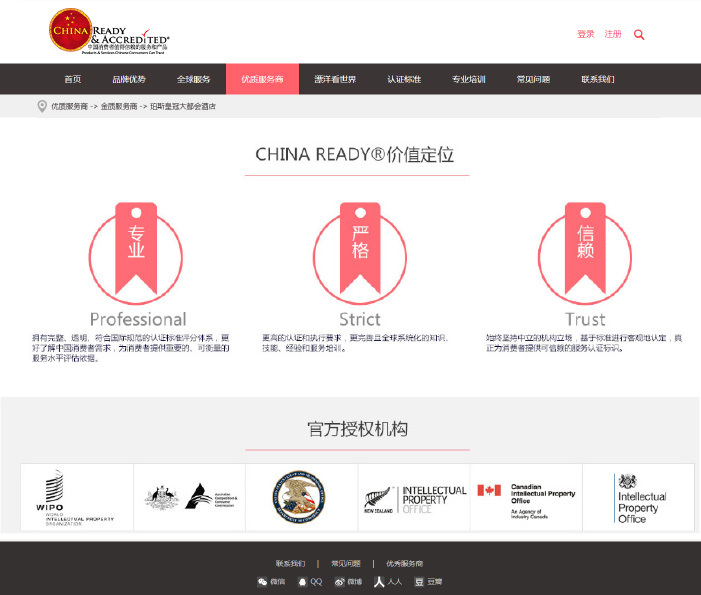 Once you become a CHINA READY & ACCREDITED® business your products and services will be represented at the CHINA READY® China Website, located securely behind the great China Firewall. 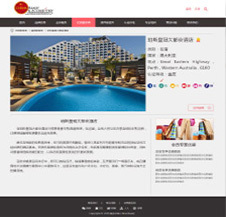 This is a unique portal for Chinese consumers seeking reputable foreign products and services. The amount of exposure you receive depends upon the level of marketing you choose – a simple listing for Entry, a half page display for Standard or a full page showcasing for Premium. Chinese customers like to plan in advance and view products and services offered by accredited businesses before leaving home. 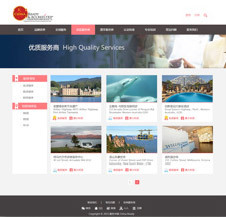 The CHINA READY® China website is where Chinese consumers go to find overseas products and services from organizations they can Trust to uphold Strict quality and Professional standards. This is where your CHINA READY & ACCREDITED® brand will be showcased. The CHINA READY Program® is very, very important … it enables international businesses to get to get to know how the Chinese think, how they act and the way we do things. UnionPay is overwhelmingly the most popular payment system in China, where every adult carries a UnionPay Card to pay for goods and services both at home and abroad. Acceptance of UnionPay is a requirement for CHINA READY & ACCREDITED® businesses*. And when you consider the opportunities - both from retail and marketing perspectives - it makes a lot of sense. 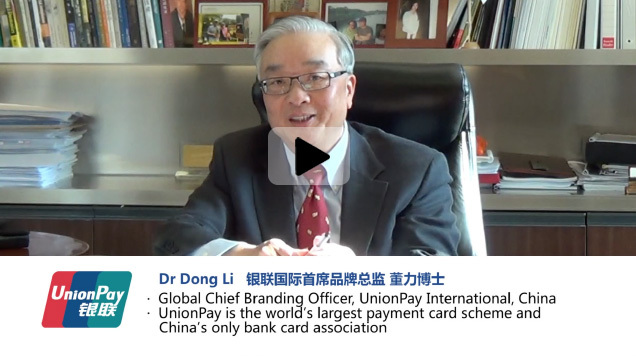 There are more than 4 billion UnionPay Cards in use throughout the world. And when the Chinese travel or shop online, they usually prefer to use their UnionPay cards. If you’re looking for more business from Chinese customers, having UnionPay acceptance is a very good start. More than that, CHINA READY® has a global strategic partnership with UnionPay International, including an agreed marketing and promotion plan in China for CHINA READY & ACCREDITED® businesses. This plan leverages the immense UnionPay network to guide consumer traffic to CHINA READY & ACCREDITED® suppliers. That could be you. 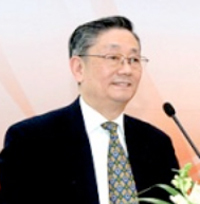 CHINA READY® board members and stakeholders can facilitate commercial arrangements with Chinese professional and member associations, who can act as unique distribution channels for your products and services – giving you exposure and recommendation in places that others simply can’t access. We also have a close working relationship with Xinhua International, which is the official Chinese Government media outlet. Xinhua International is the most powerful ‘voice’ in China, with interests in newspapers, social media, magazines, digital content, telecommunications, and public relations. CHINA READY® and Xinhua International are developing paid marketing opportunities for the benefit of CHINA READY & ACCREDITED® businesses. Simply by being CHINA READY & ACCREDITED®, your business will gain enormous credibility among Chinese consumers. Plus, you’ll have the opportunity to take that advantage further, through paid marketing opportunities within our network of influential Chinese media and marketing partners. We can help you leverage China’s most popular online platforms and marketing channels to create highly effective integrated marketing strategies. CHINA READY® can help you generate interest, then lead Chinese people to your products and services.